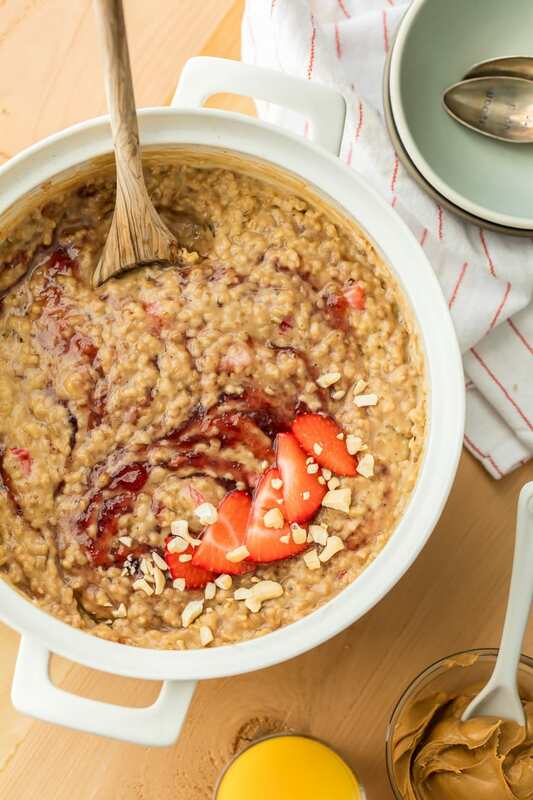 PEANUT BUTTER AND JELLY STEEL CUT OATMEAL is the perfect healthy and easy breakfast! Full of flavor from crunchy peanuts, strawberry jelly, and fresh cut strawberries. BEST BREAKFAST EVER! Every single morning when Pat leaves for work, he brings me half a slice of toast with peanut butter and half a slice of toast with strawberry jelly. He uses the all natural kind, which should be my favorite but ISN’T, but it’s still a sweet gesture. He’s a simple guy who loves breakfasts that are very simple, so it’s perfect for him. He’s never been one for my off the wall breakfast ideas, he just doesn’t get it. So every morning I get half of his toast so that he gets some peanut butter and some jelly. Easy, but sweet. I actually have started to look forward to it! With our wedding anniversary going up in September, I want to make him breakfast in bed! (Luckily he’s always in trouble for not reading the blog so this is a safe space :) I have to do things his way so he actually likes it, but have to make a couple twists to make it my own. 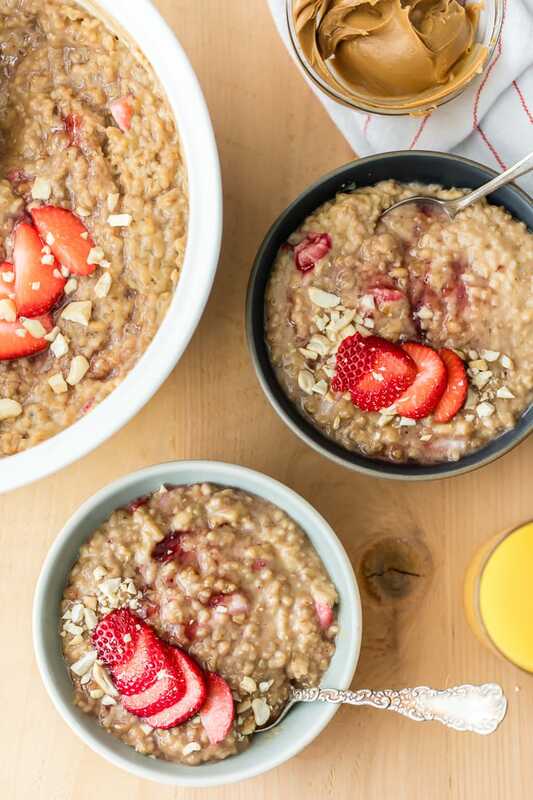 This Peanut Butter and Jelly Steel Cut Oatmeal is just the thing to make us both feel the love. Zany enough for me; warm, comforting, filling, and delicious; and simple enough for him; his beloved pb&j in oatmeal form! 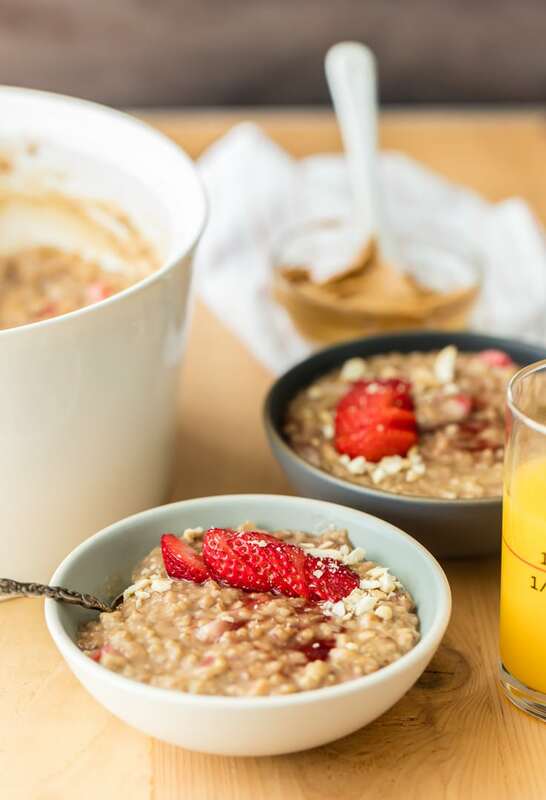 I know all the rage these days are “quick oats”, but let me fill you in on a little secret…ALL OATS ARE QUICK! 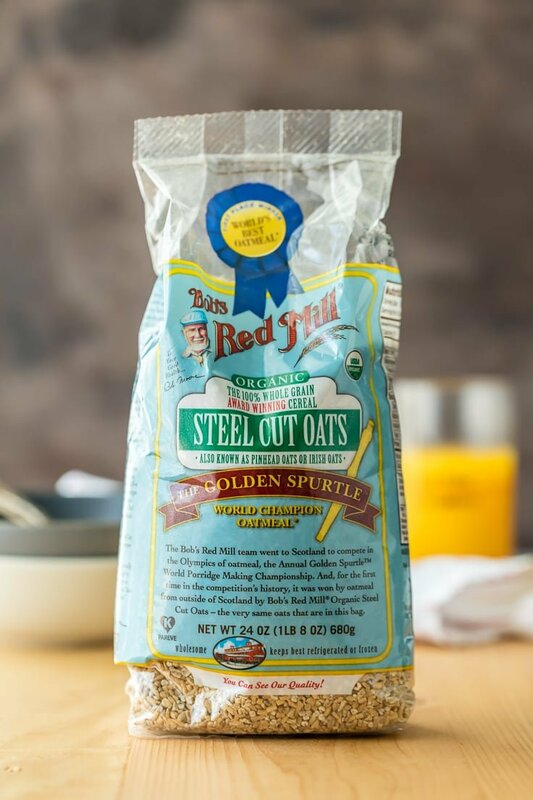 These AMAZINGLY DELICIOUS Steel Cut Oats from Bob’s Red Mill took 17 minutes to cook to creamy dreamy perfection. Everybody has 17 minutes, you can do it! They’re so much more delicious to me than the microwavable kind. You can see right on the bag, this oatmeal is WORLD CHAMPION OATMEAL, and that means something! 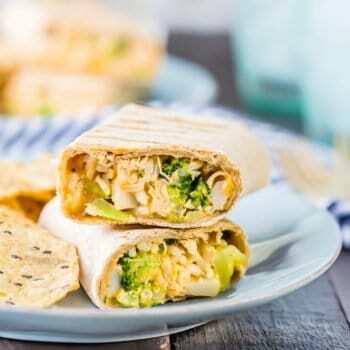 You can be proud spending those 16-18 minutes preparing a delicious and hearty breakfast for your family! 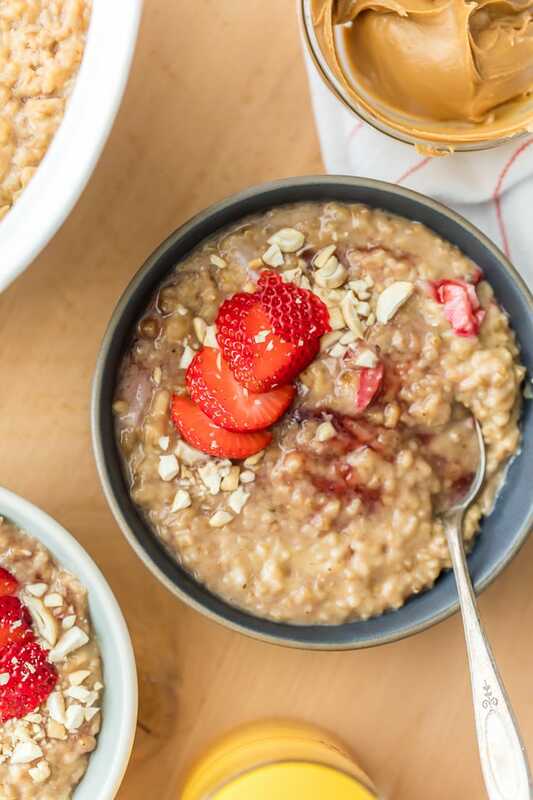 This Peanut Butter and Jelly Steel Cut Oatmeal will be an instant favorite; packed with chopped peanuts, creamy peanut butter, sliced strawberries, and of course ribbons of strawberry jelly. It makes mornings worth waking up for! So let’s hope Pat continues his streak of reading the blog about 3 months behind so that I can surprise him on September 14th. I think we have good odds. Enjoy! Bring a pot with the water and oats to a boil over medium high heat. Stir in the milk and salt and reduce heat to low. Cook for 16-18 minutes, stirring often, until the oatmeal is the desired consistency. When the oatmeal is just how you want it, turn off the heat. Stir in the peanut butter until fully combined. Stir in the diced strawberries and chopped peanuts. Stir in the jelly a little at a time, using a knife or spoon to swirl ribbons with the jelly. I used a squeeze bottle and swirled it around as I incorporated it. 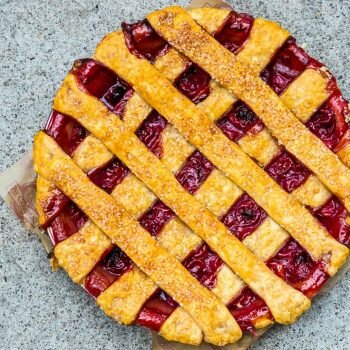 You don't want it fully mixed in, the pockets of flavor make it taste more like peanut butter and jelly. Serve immediately topped with more sliced strawberries and chopped peanuts. My husband is a PB&J fanatic. I SO need to try this! Such a fan of this! Looks awesome! Yay!!! Makes my day to hear that! 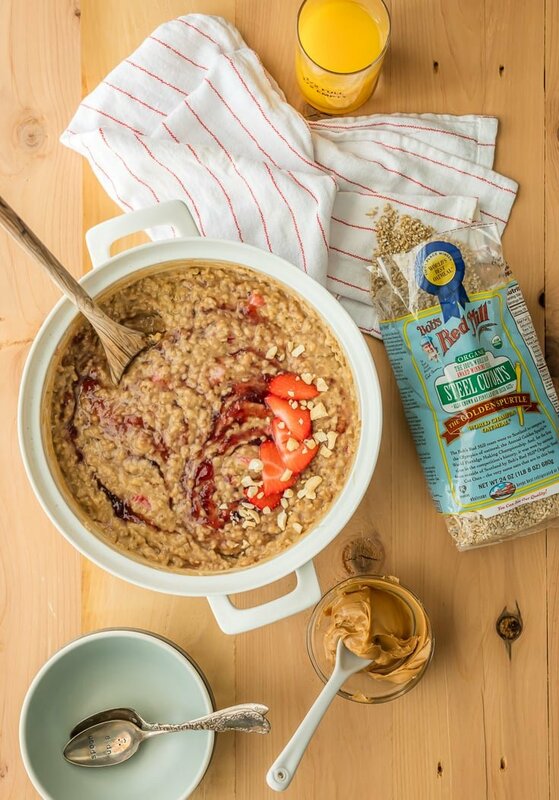 Everyone in my household loves PB&J, so I know these oats will go over like bonkers. I hope your husband loves them, too! 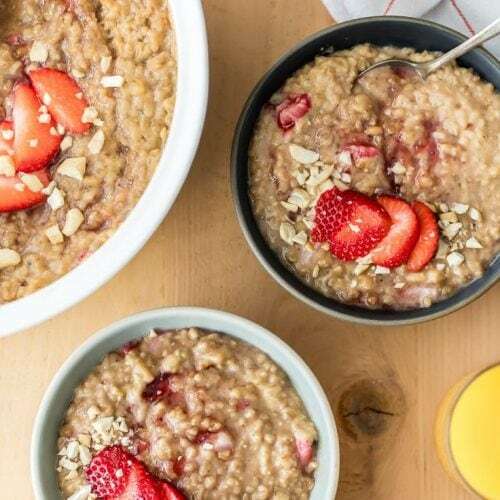 Every kid will go crazy for this oatmeal! Steel-Cut are my oats of choice, I just love the texture. This peanut butter and jelly twist is so much fun, I’ll give a try next time! Loving that jelly swirl in that big bowl of oatmeal!! SUCH a great breakfast for back to school!